Do you know what the benefits are of having proper insulation in Cleveland homes? 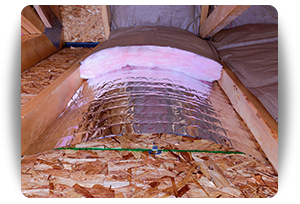 Insulating the walls and attics of your home can have incredible benefits not only for your home’s comfort but also in the savings you’ll have on energy in heating and cooling your home. 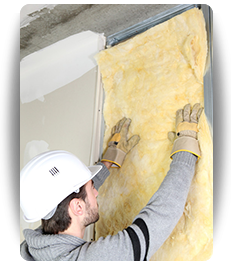 Insulation in Cleveland walls and attics also preserves your home and your belongings, especially if those possessions that are sensitive to changes in temperature and moisture. With proper insulation in Cleveland residences, you can increase your comfort level while also maintaining if not improving the value of your home. Blocking Moisture – Moisture can accumulate in your attic if it is not properly insulated. This moisture can damage the walls and ceiling of your attic, which threatens the structural integrity of your property. Proper attic insulation in Cleveland homes also prevents the moisture in your attic from turning into a breeding ground for mold, which not only threatens the property but also threatens the health of all residents. Reduce Heating Costs – Proper attic insulation in Cleveland homes will reduce your heating costs by containing the heat within your attic, thus reducing the amount of heat you will need to generate to keep it warm. By reducing the amount of heat your home needs to produce in order to maintain warmth during the winter months, you will lower your power bill substantially. Protect Your Attic – Attics are typically used as storage spaces for a wide variety of wares made of an equally wide variety of materials. Quality attic insulation in Cleveland attics prevents cold air from damaging these possessions while they are in storage. Items made of wood and electronics are especially weather sensitive and should be kept in an insulated environment to preserve their function and value. Contact Us about the walls and attic of your home. If you do not have wall and attic insulation, you could be missing out on big savings on heating and cooling as well as preventing damage to your home: (216) 281-5656.